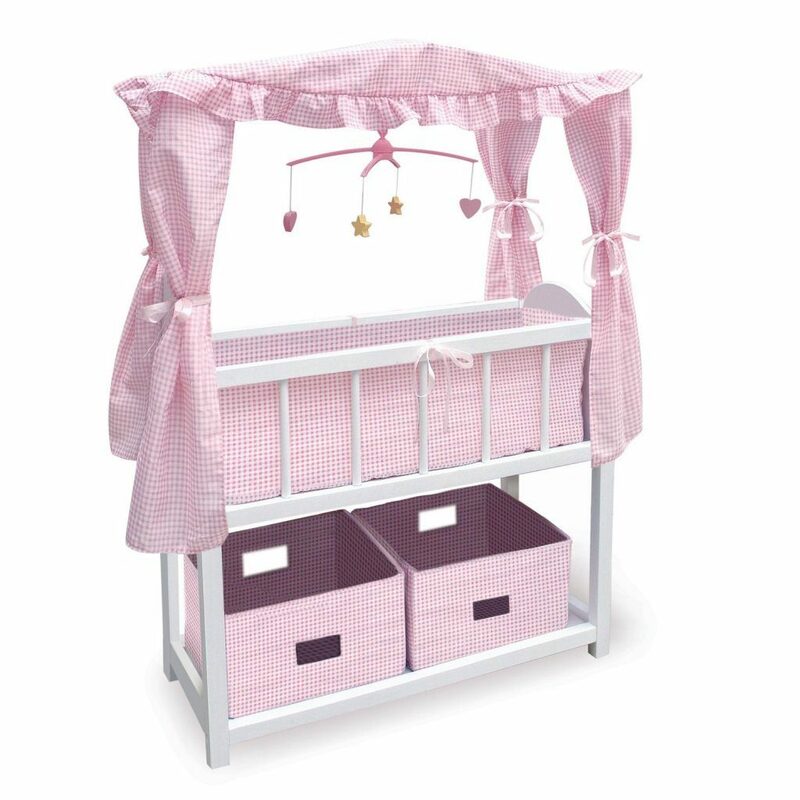 Canopy Doll Crib With Baskets Bedding And Mobile Only $38 + FREE Shipping! You are here: Home / Great Deals / Amazon Deals / Canopy Doll Crib With Baskets Bedding And Mobile Only $38 + FREE Shipping! This is adorable! Head over to Amazon and get the Badger Basket Canopy Doll Crib With Baskets Bedding And Mobile – Pink/White for just $38. And, shipping is FREE!